All photos ©Thilly and Jaap de Putter, residents of Zeeland and Atlin. 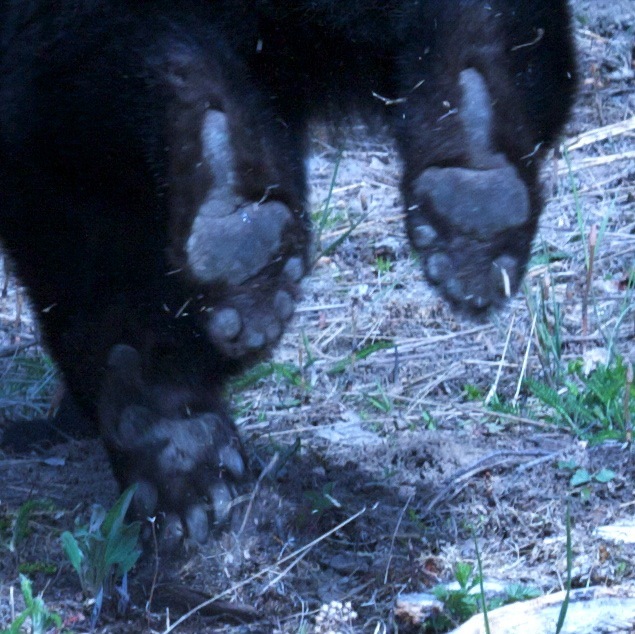 Recognize these feet? 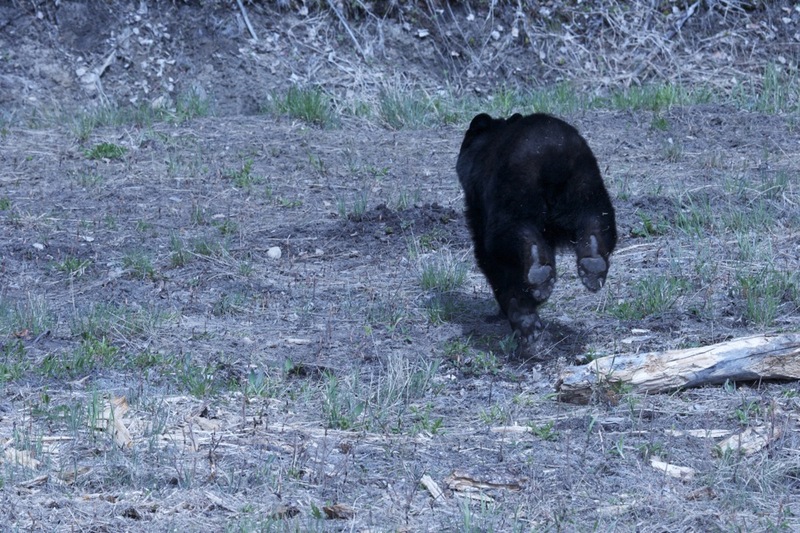 This is a bear running away. Bears hibernate during the winter. 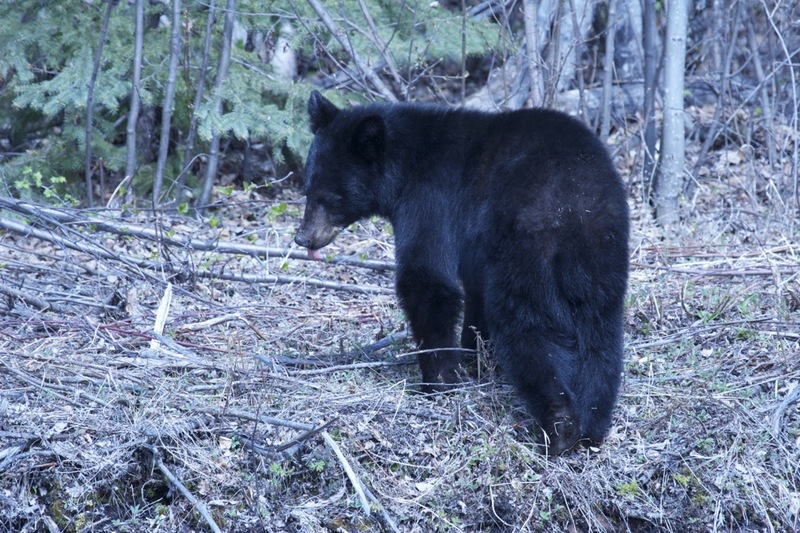 This bear must have eaten well last fall; although he's thin, his coat looks to be in pretty good shape for May. 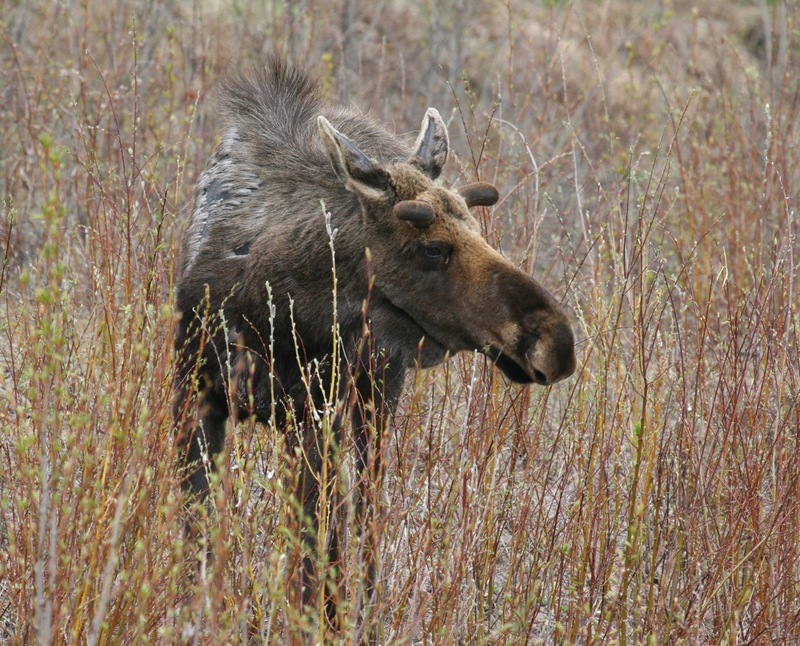 This is a young bull moose. 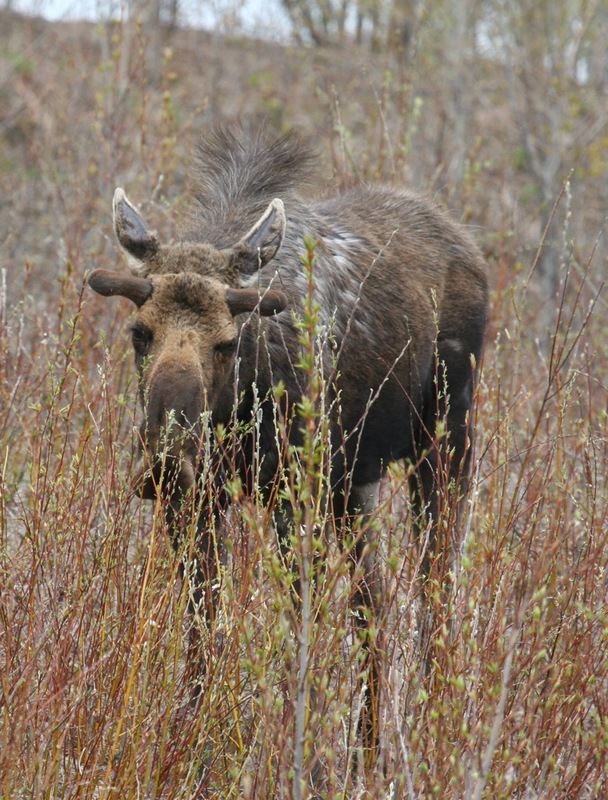 The bull moose has come through a long winter. He is losing his winter fur on his ears and his sides. 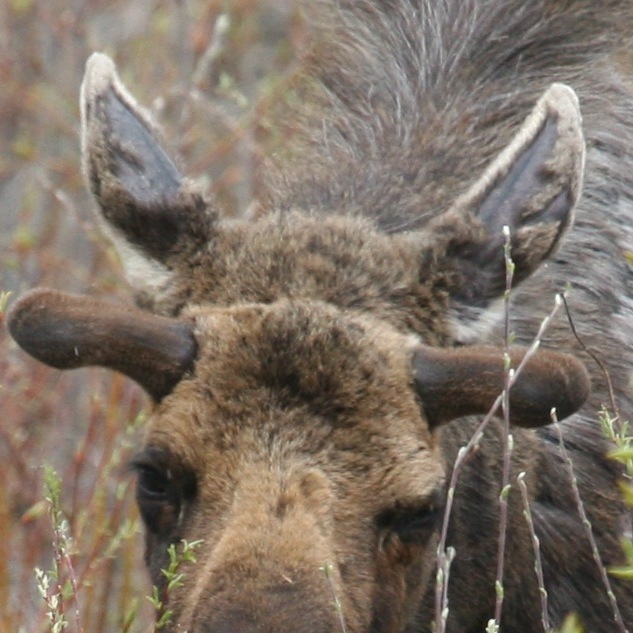 His new antlers are just stubs. Only the long hairs along the ridge of his back remain. 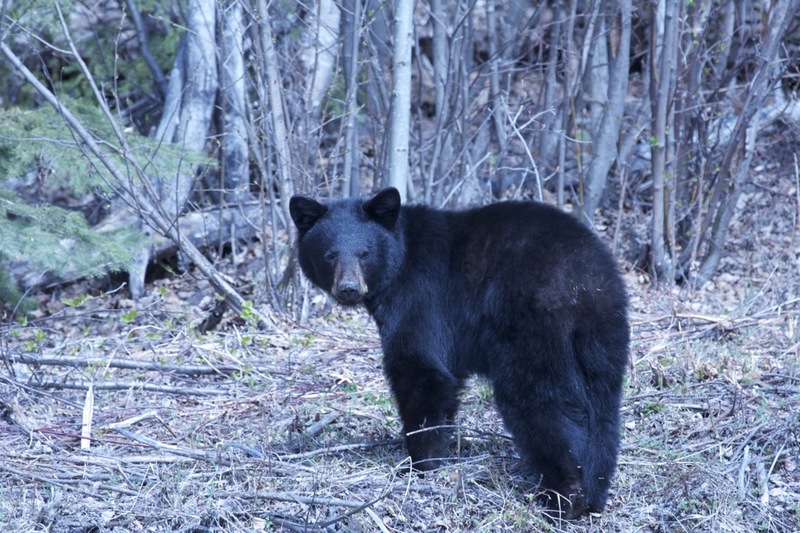 He doesn't hibernate: he stays awake all winter foraging for food; he digs for berry shrubs and tender plants hidden by the snow.